WM Design & Architecture made the transition from 2D FlatCAD to Model Based Design a number of years ago and the studio has never looked back. Formed in 1993 by Nigel Marland and Adrian Williamson, WM Design & Architecture is an Anglesey based CIAT (Chartered Institute of Architectural Technologists) studio. Prior to forming the studio, both worked for over a decade in the estates department of the North West Wales NHS Trust specialising primarily in schemes of up to £1m involving major conversions and extensions. The Health Service was using AutoCAD LT and AutoCAD Architecture but quickly found this combination limiting and no more than a glorified 2D CAD system with some pretend 3D thrown in. They tasked themselves to find a software that fitted their aspirations and more architecturally-led. Initially, they implemented SketchUp and AutoCAD but that was a bit of a halfway house and any model-based benefits were lost. They also researched other solutions such as Revit, both pre-Autodesk and after the acquisition, but decided they wanted a well-established, tried and tested solution with full support and a track record. 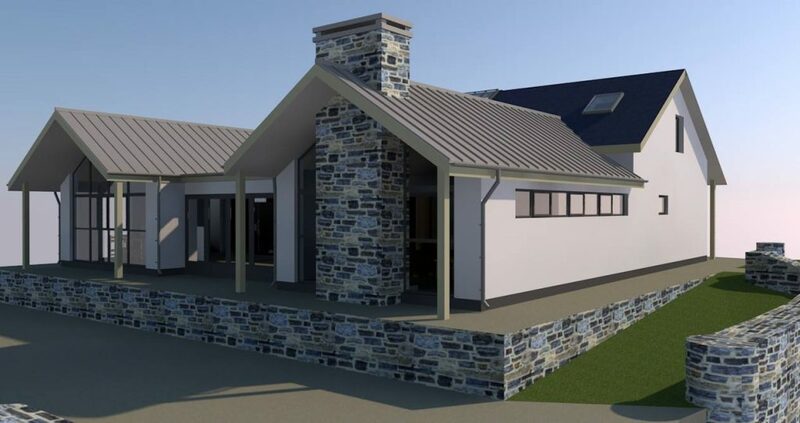 Trialling ARCHICAD they found the full benefits of an architectural design tool, combined with the capacity to do scheduling immediately, made them immediately more productive. They decided to make the transition, believing it would sit best with the studio’s requirements, their future development goals and clients the confidence that they could deliver from concept to site. “It made it much easier to communicate our ideas using design models than to try and get clients to understand 2D plans. It was really against this background that we were committed to making 3D design a part of our studio from the outset”. says Marland. Our initial impressions of ARCHICAD was very much the architect’s software and seemed extremely intuitive and logical to learn. It’s easy to think that the studios methodical approach resulted in a smooth transition. However, just like anything else there is a learning curve and managing this within the studio was the key to integration. Initially after training from Applecore Designs they gave themselves a realistic timescale to make the full transition from AutoCAD. With a pipeline of residential projects on the books that ranged from barn conversions and private houses to developer-led schemes, the Partners gave themselves six months to convert fully. 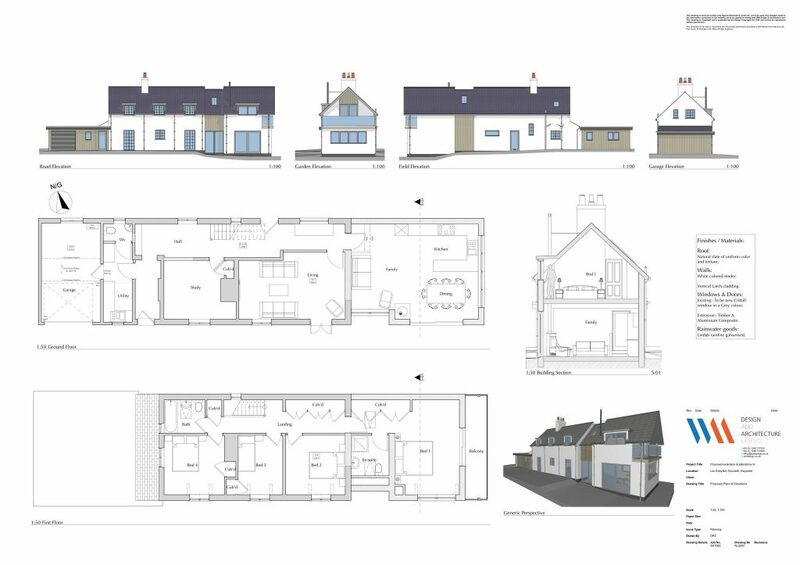 The key to making the successful transition was to find the right project: it could be a house, it could be an extension, anything that can be run through the whole process from feasibility to planning, visualisation, then detail design and construction information. Try it out on a Pilot Project that isn’t massively time constrained and where you know the client. 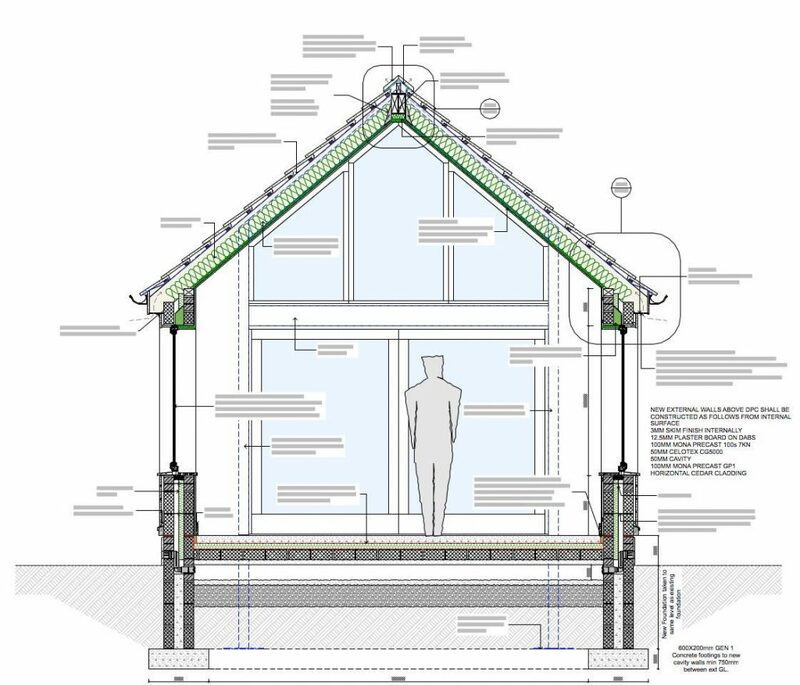 “Our initial impressions were correct on all fronts with ARCHICAD proving that it is very much the architect’s software and is extremely intuitive and logical to learn,” says Marland. Making the transition to any new software needs time and commitment with training and consolidated use required before the benefits unfold. The most difficult aspect for Nigel and Adrian was the transition to a different way of thinking and operation of a new work flow. That said, one of their most recent employees was able to adapt to the work flow very quickly as he had no past experience with model systems, preconceptions or bad habits. After all, ARCHICAD offers a more holistic manner with the whole design process: it’s not just 2D/3D, it is a model based ‘virtual building’. And, it is this Virtual Building Model that enables architects to maximise their design skills and output. ARCHICAD has certainly taken away that element of wasted time because in implementing a building model, as soon as you put the information in, in terms of where windows are, where doors are etc., it populates this throughout the model. So, if you go into the elevations and you don’t like the look of the windows, you can change them in that view and they will change throughout the whole model. The software very much keeps you on track and any changes you might make in section, elevation, plan or even in the model will be reflected everywhere, and in real time. These features of the Virtual Building will save any studio a great deal of time and also produce more accurate designs. The nominal time lost training, getting up to speed, and setting up a new way of working, therefore becomes irrelevant. ARCHICAD also has over one thousand fully parametric building components. Put simply, these components know what they are (floor, wall, window, etc) and how they relate to other components, so where one component is changed, the change also impacts on all other related components, automatically. So, resize or change the position of a window and everything else is re-aligned automatically. And changes can be made in any part of the design – 3D model, 2D drawings, schedules, etc. WM Design & Architecture like to work in great detail on all of its designs and as such it often works on drawings at scales of 1:5 or 1:10. “We have never concentrated on doing small sections of, say, 1:50,” says Williamson. “We have always done larger details at 1:20, and bigger. I think the more you enjoy using the software the more you like to do.